Flossing is a habit that would be great to have as part of oral hygiene. However, it does take some effort and dexterity to master this cleaning habit. The best time to floss is before you clean your teeth with a tooth brush and paste. Tooth paste caught between the teeth can make it difficult for the floss to get through and often causes it to break. This can be very frustrating in a time poor world! 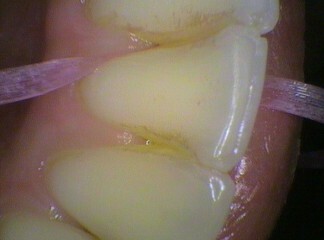 It’s important to wipe the side of the tooth to clean way the sticky plaque rather than using a “shoe shining” action. This does not clean the tooth but causes sensitivity as it can create a groove in the tooth surface especially on the roots. The aim of the exercise is to wipe clean the tooth/root surface without cutting the gum between the teeth. This is how it’s done. 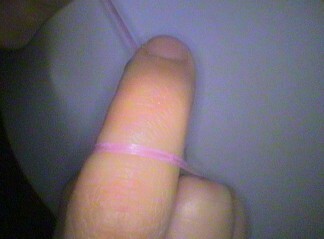 Break off about about 40cm (15 inches) of floss or tape and wrap it around the index fingers. 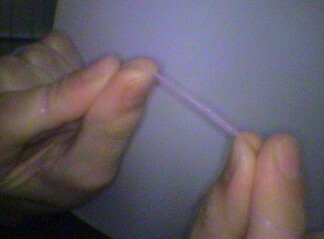 Upper teeth – Hold the floss or tape like a tightrope with your THUMBS. Lower teeth – Use the MIDDLE FINGERS. Try and keep the middle fingers and thumbs as close together as possible usually about 3 to 4 cm. As you go further to the back of the mouth unwind the floss/tape around the index finger by about 2cm to allow better vision. It’s like you are “lassoing” the back teeth. Otherwise you will be all fingers and thumbs and you won’t get the floss at the back of the mouth. Put the floss through the contact area of adjacent teeth and gently hold the floss/tape against the side of one tooth, slightly wrapping the floss around the tooth. Carefully go down the side of the tooth and avoiding the gum between the teeth. When the floss can go no further (DO NOT BE SURPRISED IF THE FLOSS GOES BELOW THE GUMS), PULL TIGHT AND WIPE AWAY FROM THE GUMS TO THE CONTACT AREA. Do not shoe shine only WIPE otherwise you will damage the tooth. 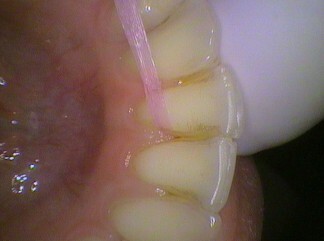 Then move the floss across the adjacent tooth and repeat the process for this tooth. (Remember to do the back of the last teeth). DO NOT WORRY IF IT BLEEDS. The gums are already sore from the plaque. It will pass with regular cleaning after 3-4 days. If it does not then you need to see the dentist for professional cleaning as there may be calculus (tartar) present that can’t be moved by the floss or tape.